Oh Boy. 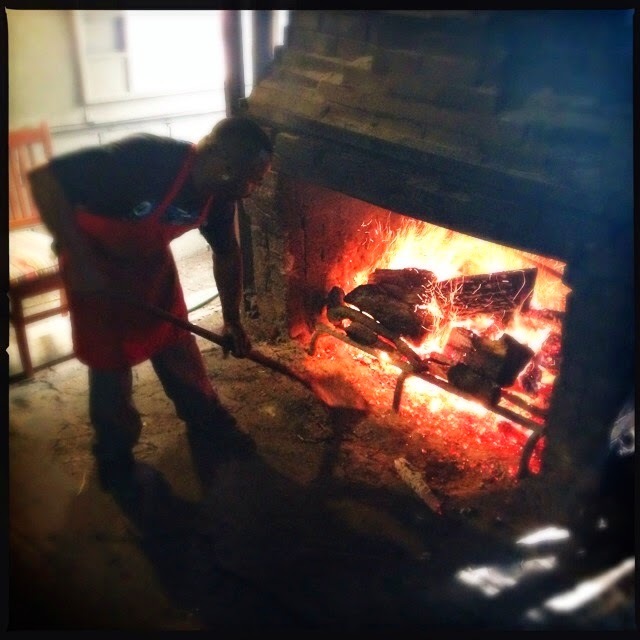 Jones Bar-B-Q. What a wonderful visit to a very special barbecue joint. Or diner, because they actually call themselves Jones Bar-B-Q Diner. But if you are expecting the usual diner experience, booths, tables, pie case, you are mistaken. There are two tables in this diner, and one of them is mostly blocking the window through which you order. So, think takeout. But oh man. What great takeout it is. Here’s a picture of the order window and menu. Let’s start at the beginning. It turns out the restaurant has been here in one form or another and selling BBQ for 100 years, even though their road sign says they’ve been serving it up since 1964. This is James Jones, but everyone calls him Mr. Raymond. He let me pester him with questions. 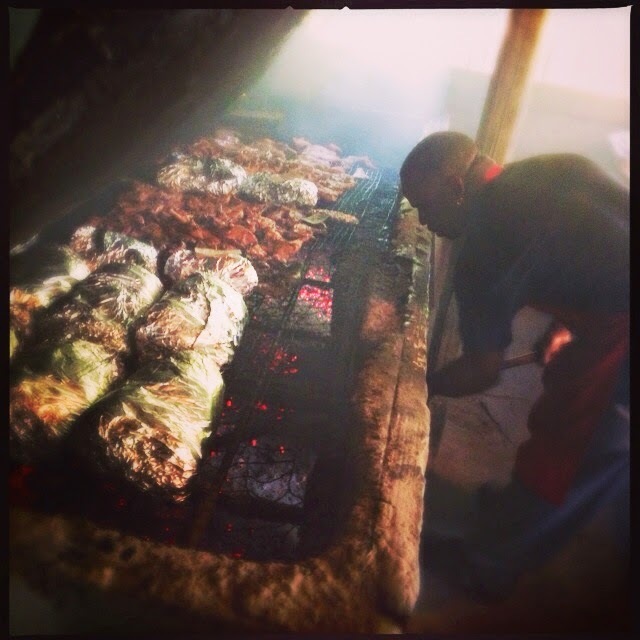 In 2012, Jones Bar-B-Q Diner was awarded an American Classic award by the James Beard Foundation. Which, as you know, is a VERY BIG DEAL. When I talked with Mr. Raymond about it, his take was that it was an award for all of Arkansas, “for everybody,” as he said. A humble man, indeed. Oh, but he was pleased to have taken the trip. He said it was his first vacation in 45 years, and they treated him like a king. Well deserved. So let’s talk food. It’s great. I started out buying two pulled pork sandwiches, two pounds of pulled pork and a bottle of his homemade sauce to take home. 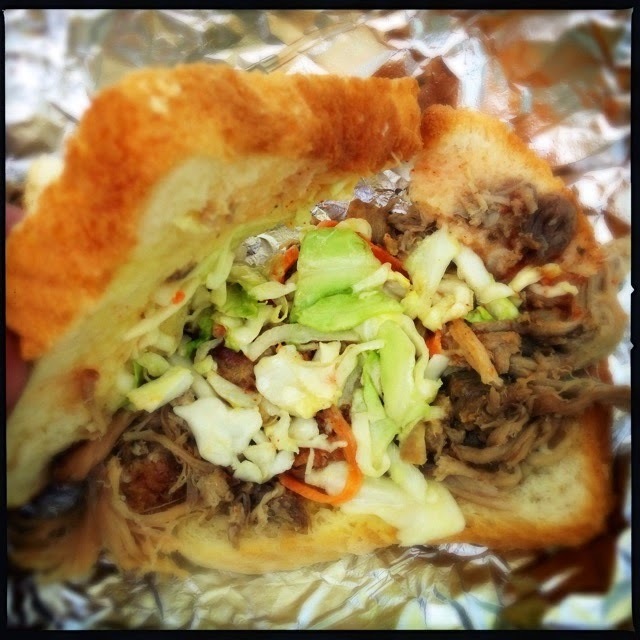 The sandwiches are composed of two slices of thick white bread, a handful of pulled pork, a scoop of mild green coleslaw, and a bit of barbecue sauce. What is especially special about the sandwiches is just how perfectly balanced the sandwich is. None of the elements outperform another. The sandwich is lightly smoked from the pulled pork, lightly sweet from coleslaw and lightly tangy from the barbecue sauce. Just a perfect win-win-win. I went back inside and purchased a third sandwich for the ride home. When making coals, they use oak, which is pretty standard for this area. Oak gives you a nice pleasant smoke, without the spicy heaviness and dark color that hickory can bring. I thought this was interesting. They wrap their pork shoulders the whole time. I usually only do this as a crutch once the pork reaches about 165 degrees. By wrapping it the whole time, it reduces the smokiness that the meat picks up. Which is likely one big reason for the light smoke and balance in the final sandwich. I have always enjoyed going to BBQ places that look like they have been there for 100 years. This time, the restaurant really has been around that long, in one form or another. I enjoyed the time I spent with Mr. Raymond. He was proud of his restaurant, and proud that I was interested in its story, but there was no doubt that he was a humble man indeed. Truly a rare find in food and person. 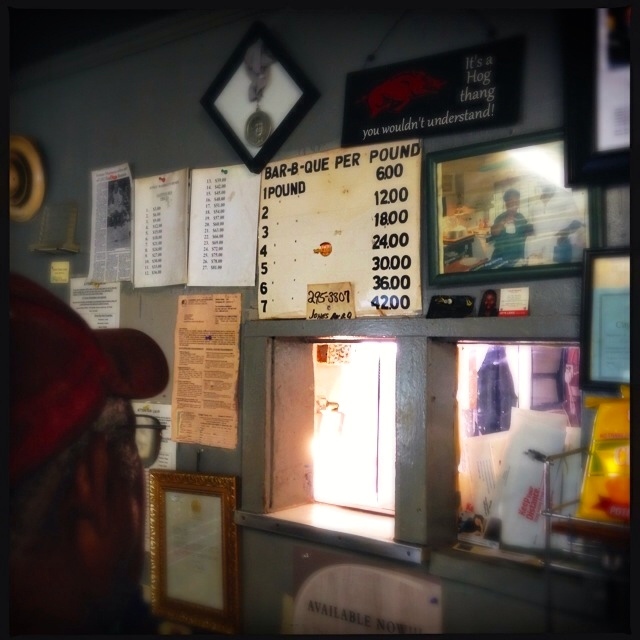 Jones Bar-B-Q is a wonderful place to visit.